• Extreme MOI small mallet design with a lightweight aluminum head and a heavy steel rear weight. 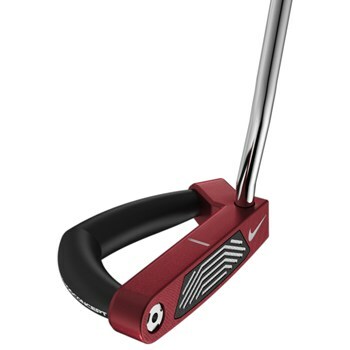 • Polymer and aluminum face insert reduces weight and the polymetal grooves provide a faster forward roll at impact. • Double bend shaft with a full shaft of offset.